Spain made an impressive start to their new era under Luis Enrique during the international break as they rebuild after World Cup disappointment. La Roja, who were knocked out in the last 16 in Russia, beat England at Wembley and thrashed World Cup finalists Croatia 6-0 in former Barcelona manager Enrique's first two games in charge. Spanish football expert Guillem Balague, speaking on BBC Radio 5 live's Football Daily podcast, was impressed and says Spain are now properly utilising a player who could become "the top midfielder in Europe". 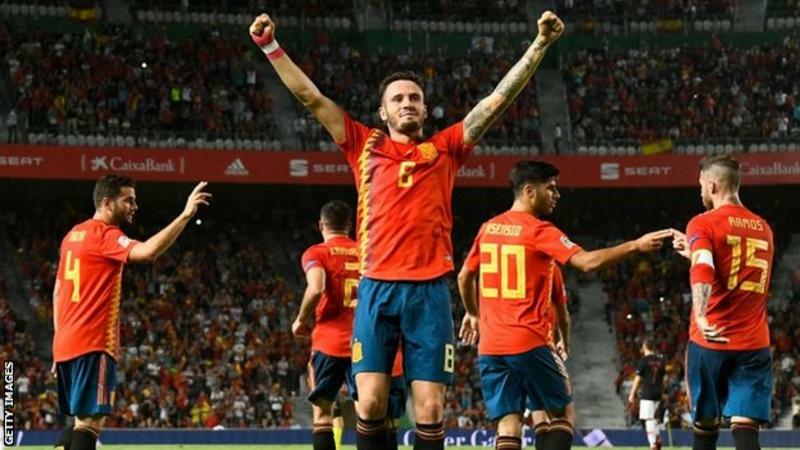 Atletico Madrid midfielder Saul Niguez scored in both of Spain's Nations League wins in a new-look midfield following the retirements of Andres Iniesta and David Silva. The 23-year-old started both games despite being an unused substitute throughout the World Cup. Balague said Saul has "everything" and can play in a "Simone style", an aggressive pressing style employed by his club manager Diego Simeone, as well as a "Barcelona style with quality in his passes". "We have never had a midfielder like this," Balague said. "Finally people have realised the talent that this man has. "As an 18-year-old he was offered to Everton and they said no, as a 20-year-old he was offered to Manchester United and they said no but I think in the next couple of years we will be talking about him as one of the top, if not the top midfielder in Europe. "He can play in the Simeone style without the ball, quick putting teams under pressure, but also in the Barcelona style if he wanted to, quick with his passes, and of course he has got the physique to come from deep as he did with one of the goals against Croatia. You have got everything in one player." Saul's staring role against Croatia came in his home town of Elche, where both his brother and father played, while Real Madrid midfielder Marco Asensio also impressed with a goal and three assists. "Marco Asensio showed as well how much quality he has got and that means the one who got cornered is [Real Madrid's] Isco," Balague said. "I think we will see less of Isco more of Saul and more of Marco Asensio for Spain." Six players - David de Gea, Nacho, Sergio Ramos, Sergio Busquets, Isco and Asensio - started both the World Cup defeat to Russia and the first game of the Enrique era at Wembley on Saturday. 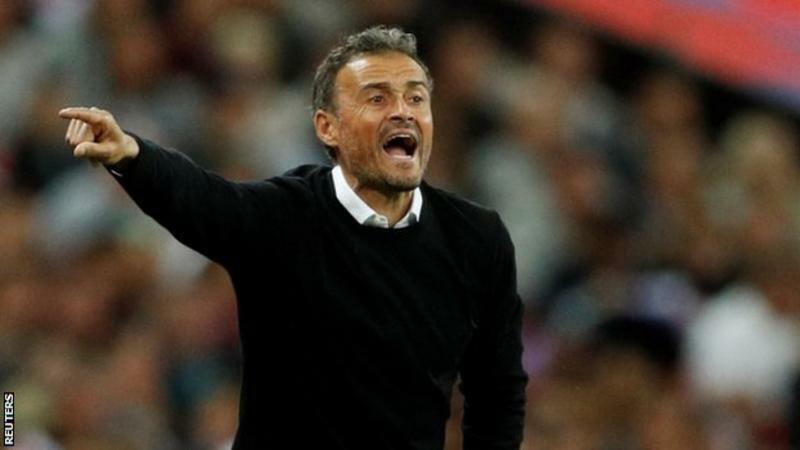 The appointment of Enrique led to suggestions that Spain would move away from the passing style that helped them win the World Cup in 2010 and the Euros 2008 and 2012. But Balague said the passing style was evident in Enrique's opening wins. "Spain looked more direct and incisive but they actually passed the same amount of times as against Russia in the World Cup," Balague said. "But you had the likes of Saul running from deep, Asensio also breaking the defensive lines, and you had Rodrigo who has been a find from Luis Enrique. "The passing game is still there but now there is intent behind those passes. "What was interesting as well was there were no Barcelona players on the pitch in the last half an hour against Croatia. "For the first time in a decade, Barcelona are not a crucial part. "Everything was built around Barcelona but what you have now got is a team with character of Barcelona but is represented by more clubs than just one club." Who was to blame for the World Cup exit? Spain were one of the favourites for the World Cup after an unbeaten qualifying campaign which included nine wins and one draws. But they sacked manager Julen Lopetegui two days before their opening fixture, only won one match under Lopetegui's replacement Fernando Hierro - a narrow 1-0 victory over Iran - and suffered a shock defeat to Russia in the last 16. "It was a consequence of a lot of things," Balague said. "The players were not as sharp mentally or physically, to get rid of the coach didn't help. "Hierro didn't want to rattle the cage, didn't want to revolutionise anything because he couldn't. They didn't have a coach telling them to run with the ball and run into space but now we do have that."